Take Me to the Water: Immersion Baptism in Vintage Music and Photography 1890–1950 (Atlanta: Dust-to-Digital, 2009) is one of the most unique book products I’ve ever engaged. A collaboration between Americana collector Jim Linderman and Dust-to-Digital front man Steven Lance Ledbetter, the book documents visually and aurally the Protestant ritual of immersion baptism during the early twentieth century. The 96-page hardcover features 75 sepia photographs of outdoor baptisms collated by Linderman, the result of a decade’s worth of his searching through flea market bins, antique show displays, and eBay listings. It’s a slice of American religious history, an homage to a vanishing folk tradition. It used to be that river baptisms were commonplace events in the life of Southern and Midwestern communities. Practiced mainly by Baptists and Pentecostals, the ritual began with congregants processing in large numbers from church to water’s edge, singing all the way in joyful anticipation of the spiritual milestone about to take place. As the crowd situated itself along the banks (and sometimes bridge), a minister and a deacon would wade out into the water to find a piece of firm ground on which to perform the rite. Once found, they would then invite the initiate(s) forward. through this water you are reborn of the Holy Spirit. Photos were taken by family and friends and often disseminated as postcards, announcing the baptism to those not able to attend. Sometimes these postcards were also sold in tourist shops, river baptism being an “exotic” practice unique to certain geographic locales. 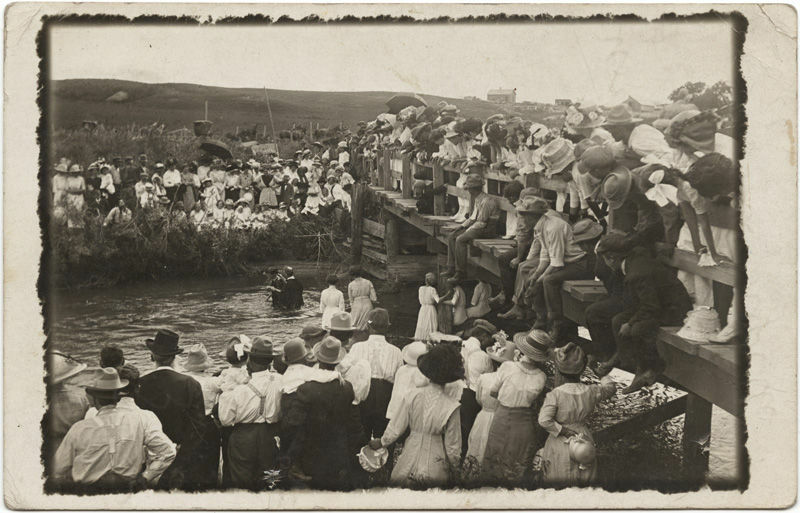 Unidentified Photographer, [River baptism, Pibel, Nebraska], 1913. International Center of Photography, New York. Gift of Jim Linderman. 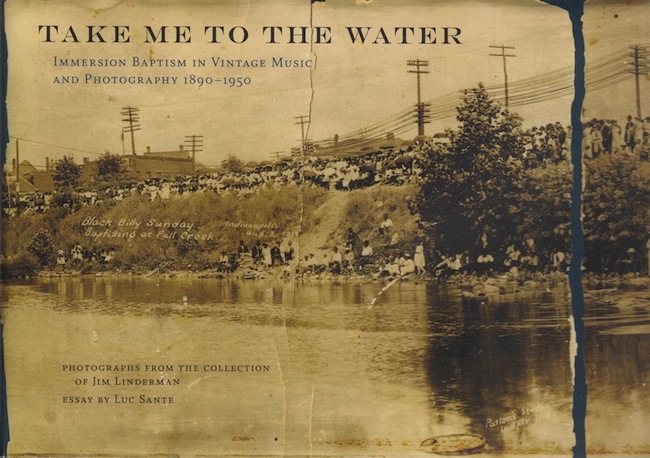 In addition to the 75 photos, Take Me to the Water features a CD with 25 baptism-related audio recordings—some songs, some sermons, some a mix of both, all made between 1924 and 1940. These recordings were compiled by Dust-to-Digital, a record label that specializes in historical compilations and reissues of rare gospel, blues, folk, and country recordings. The Take Me to the Water album was nominated in 2010 for a Grammy in the Best Historical Album category. The sound quality is obviously not on a par with modern-day studio recordings; there are hisses and crackles, but like the tears and discoloration of the photos, these only add character. 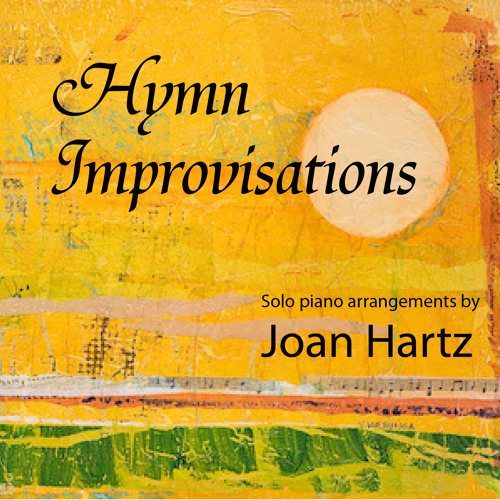 The inclusion of these audio pieces with the book product makes for a rich mixed-media experience. Readers are expected to be not just that (readers), but seers and listeners. You’re invited to pop in the disc and listen through it as you browse through the photographs, pausing here and there—to get taken in by a spoken word, a sung lyric, or a full-page spread—and to reminisce, perchance, about your own baptism experience, or to muse more generally on the theme of spiritual regeneration. By way of text, the book has two introductions—one by Jim Linderman and one by Luc Sante, professor of writing and photography at Bard College in New York; a page of biblical references to baptism; and notes on the individual songs and sermons by Steven Lance Ledbetter. River baptism is not an obsolete practice, but it is considerably less popular today than it was a century ago. Most immersion-practicing churches now have tubs at the front of their sanctuaries, where baptisms are performed on-site. Since leaving the Baptist church of my youth in 2010 and joining a Presbyterian one, immersion baptism has been a practice that I’ve really, really missed. Baptism is one thing that Baptists do right, in my opinion. The complete underwater submersion of new believers is such a powerful image of what’s going on internally, a visual proclamation of the decision to die to self and be reborn in Christ; affusion (pouring) and aspersion (sprinkling), though they carry symbolism of their own, just don’t hold the same weight for me. Take Me to the Water does not engage the baptism debate but simply highlights this one practice, documenting it in picture and sound for posterity. 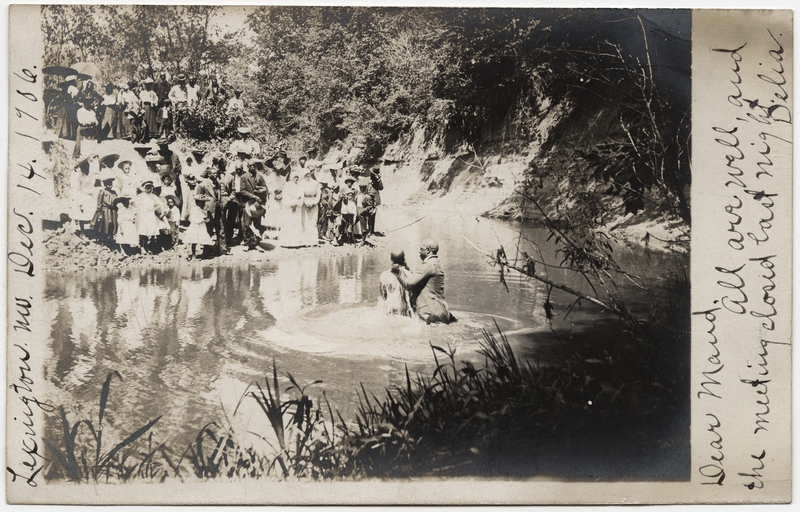 Unidentified Photographer, [River baptism, Lexington, Missouri], 1906. International Center of Photography, New York. Gift of Jim Linderman. You are now raised with him in newness of life. Take Me to the Water has sold through its limited print run and is now out of stock indefinitely, but you can purchase the audio as a set of MP3 files, which comes with a PDF of the book, or you can search for it at your favorite used-book e-tailer. This entry was posted in Books, History, Music and tagged dust-to-digital, immersion baptism, jim linderman, outdoor baptism in south, river baptisms, vintage religious photography. Bookmark the permalink.